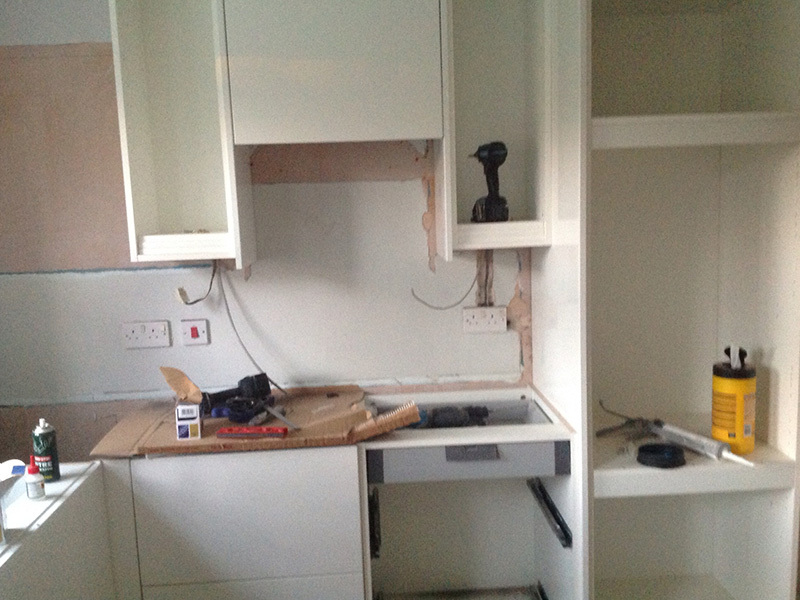 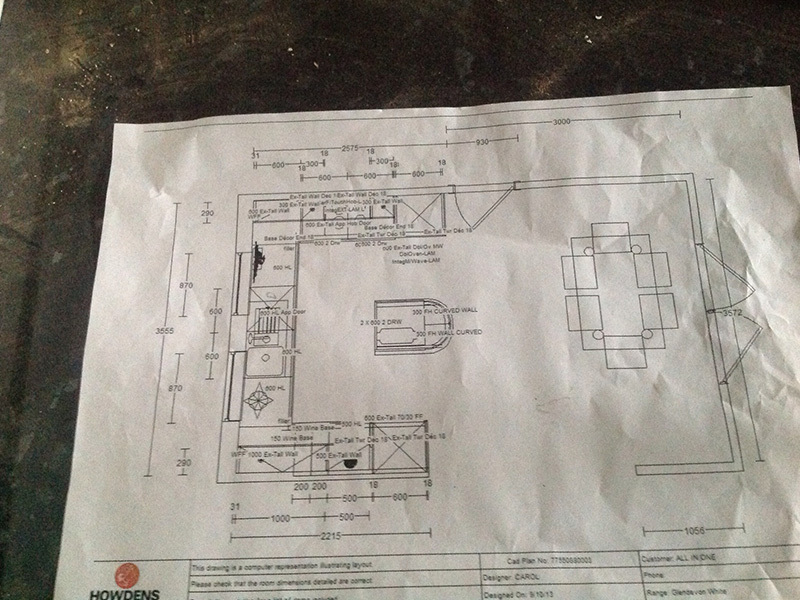 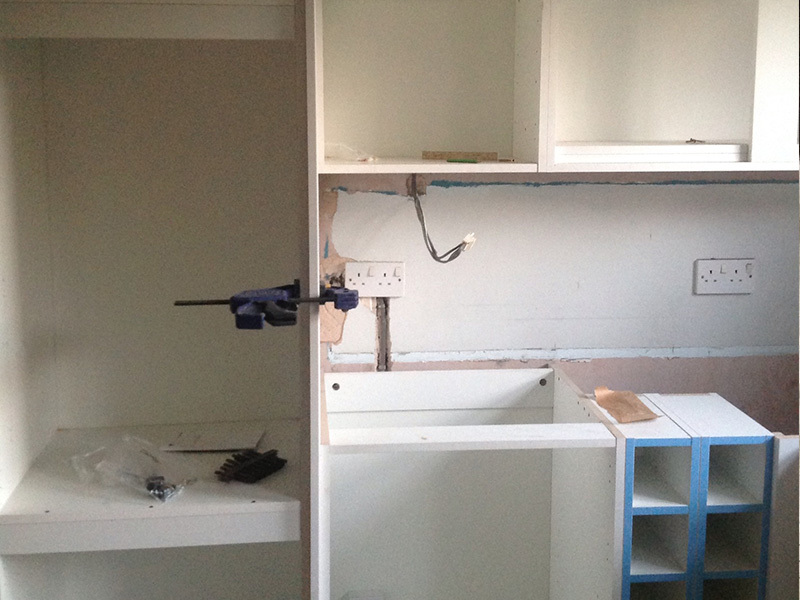 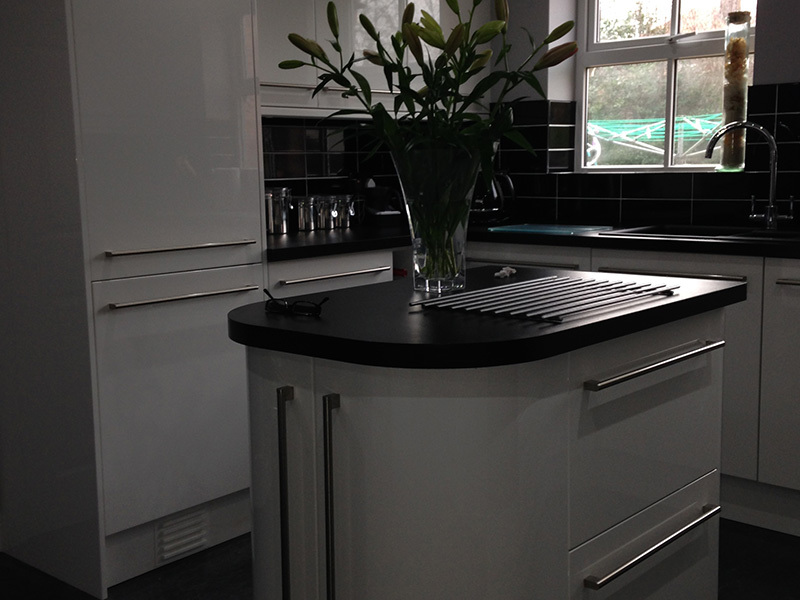 This kitchen was designed to the customer's specification. 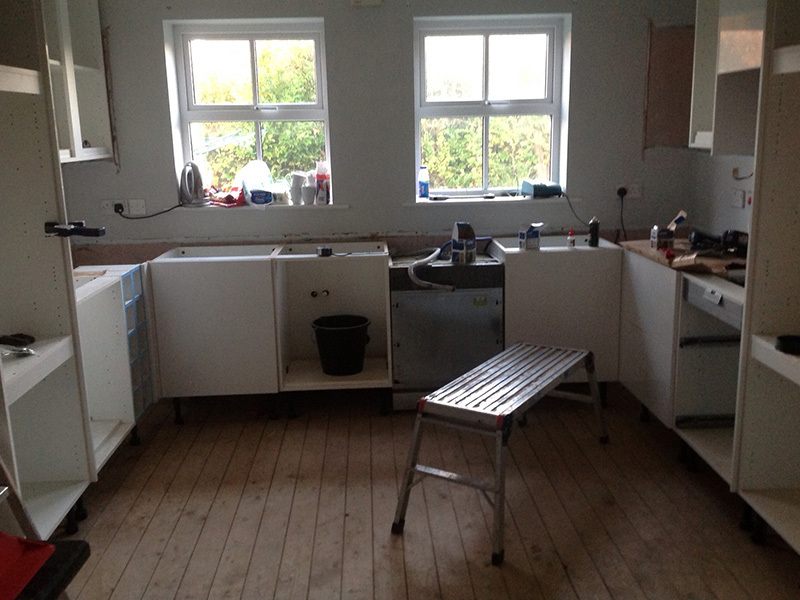 The kitchen was a U shaped design with a centre preparation area. 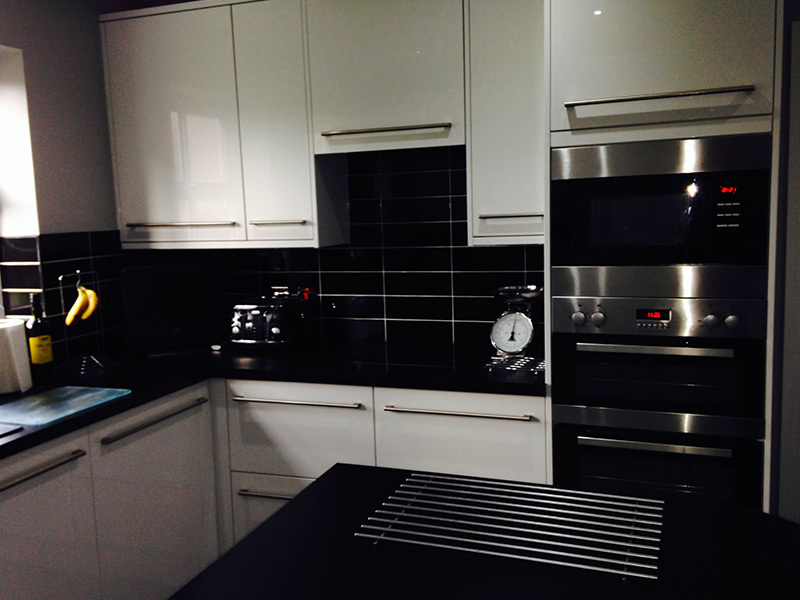 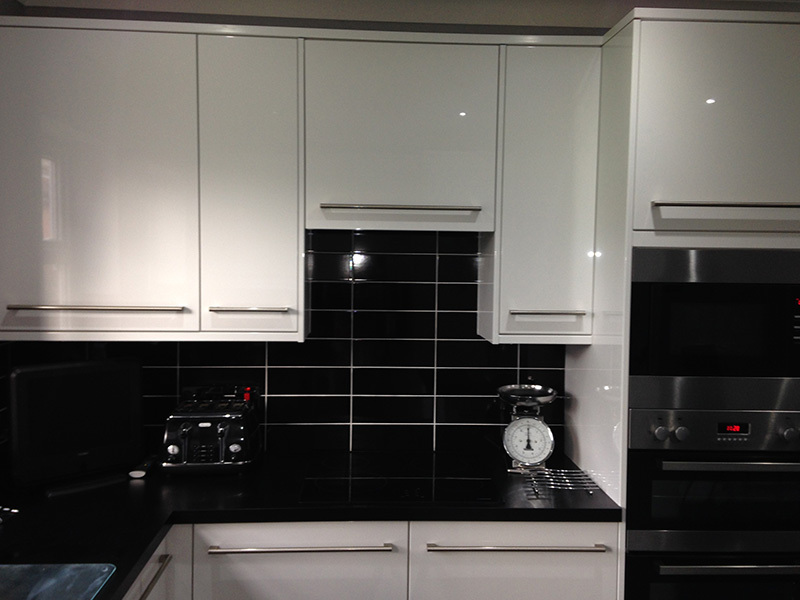 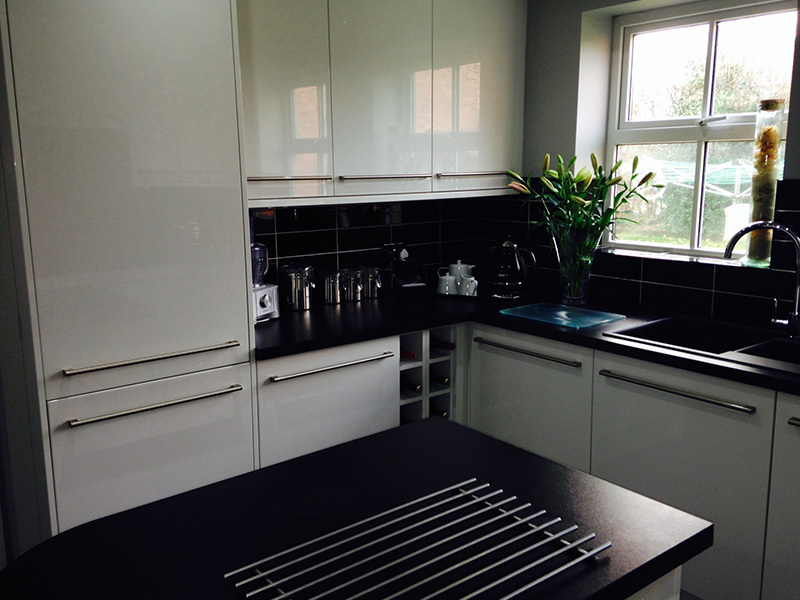 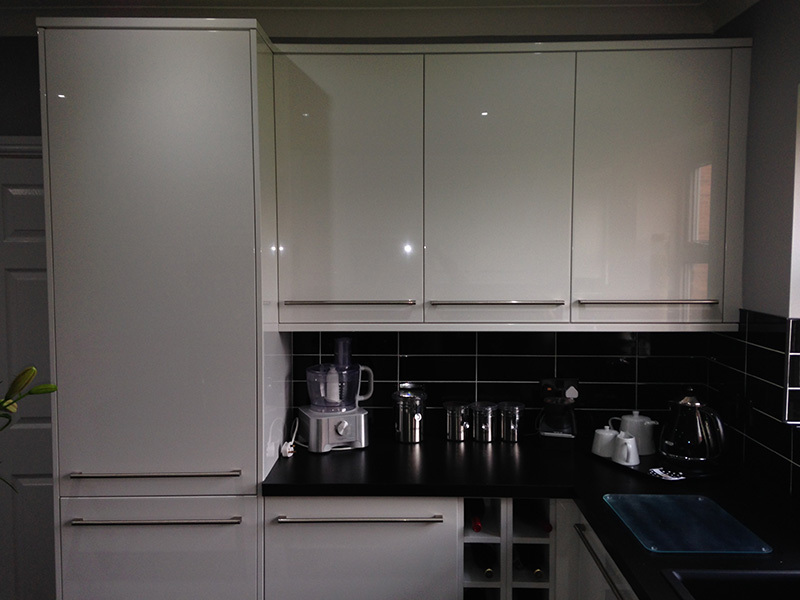 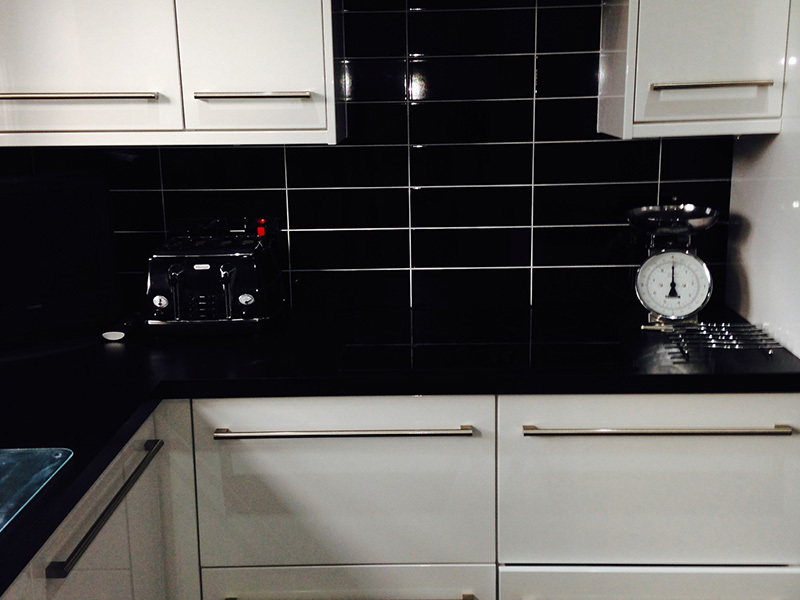 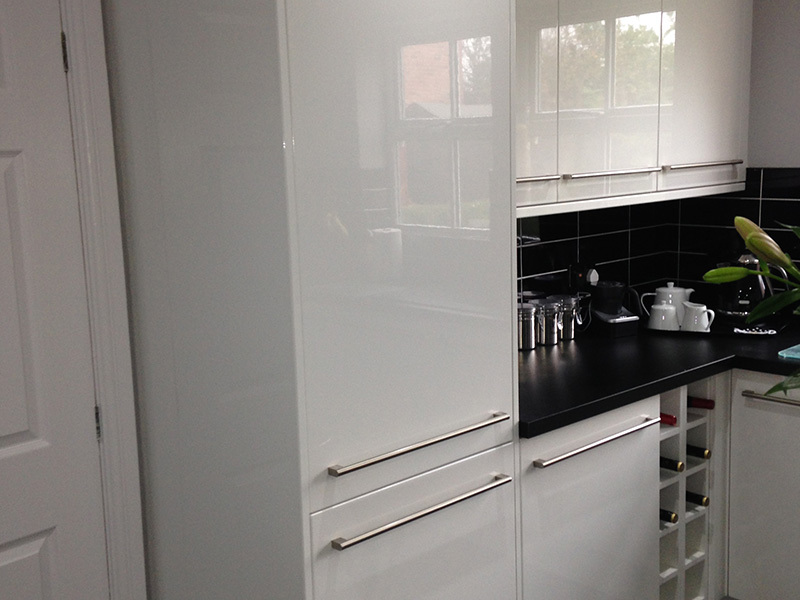 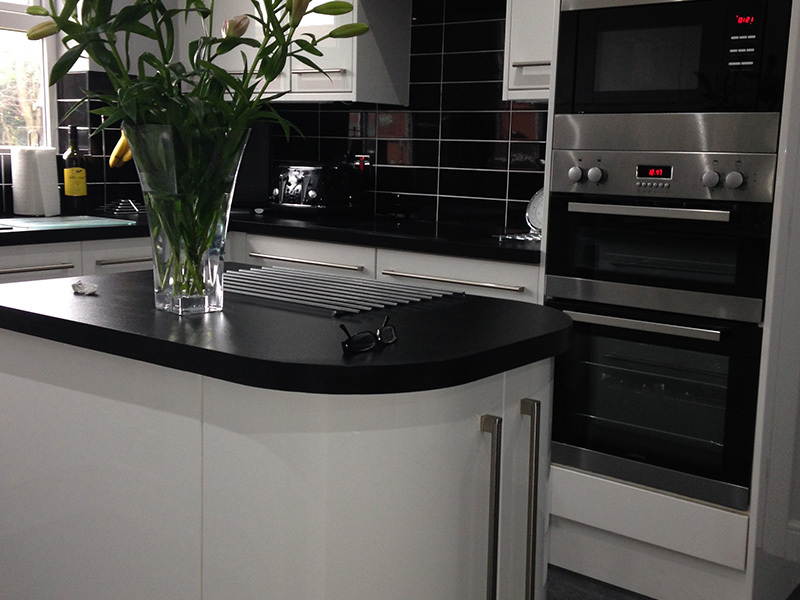 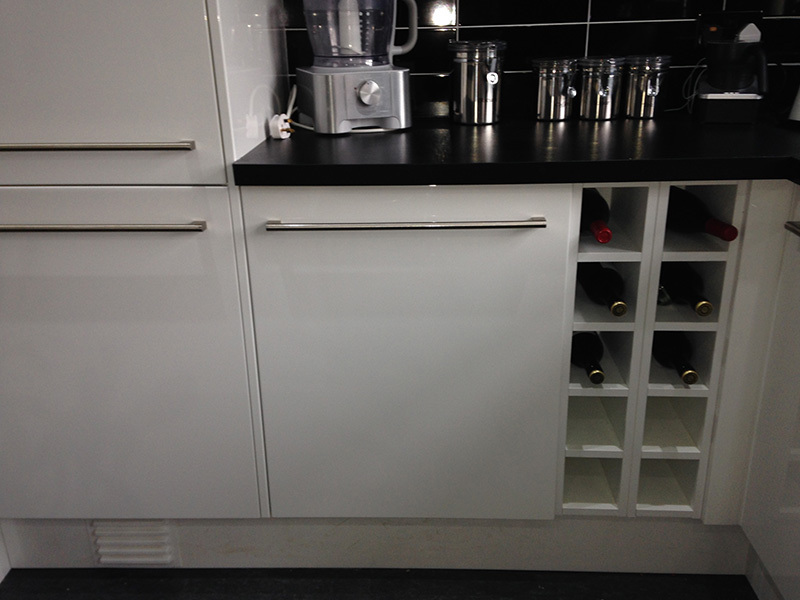 The unit doors were a gloss white finish with a black riven work top complimented with black tiles and white grout.